Vietnam’s terrain is special in its ways of clear distinction between trench and ridge. In many regions people live in high areas in cool atmosphere, meanwhile others prefer or learn to get used to making a living right on boat along the tropical river, rowing all the day. These may be both harder than the plain but we, humans, are extremely good at conquering the nature to support our living and make it brighten in the most special way. And what people do in Mekong river delta is a real picture of stunning lifestyle invented by local inhabitants, which has delivered the soul of marketplace in a very different manner - floating market – Chợ nổi. 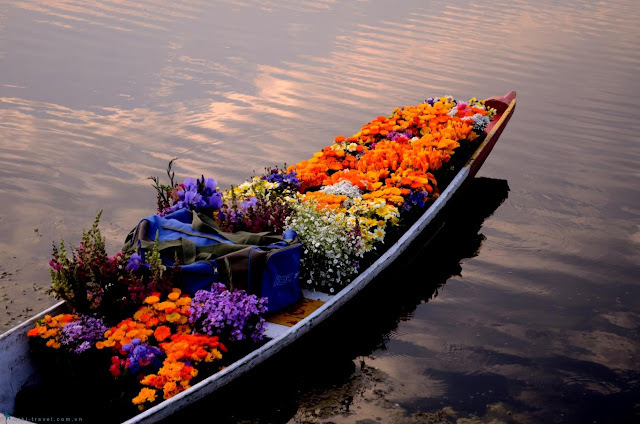 It is a market where people sell and buy things as usual except for the fact that it stays afloat on the river. In the past, the areas adjacent to the rivers were the first to be populated. Thus most communities in the west region of Vietnam were built at the sides of rivers. You can see that until today house are built on stilt along the river, with the main roadpath heading to water where boat is waiting for. Because of special terrain covered by the river, waterways served as means of transportation and the center of economic activity as well. Boats were mainly used for both local and regional trade, bringing goods from those that produced to those that could barter and trade. 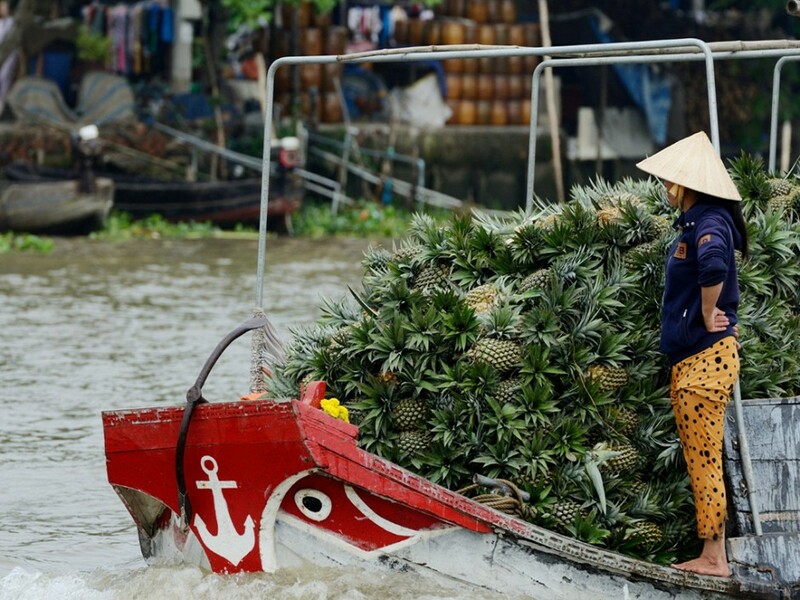 Such ways of life of the riverside communities, especially in the Tien River and Hau River increase number of floating markets. 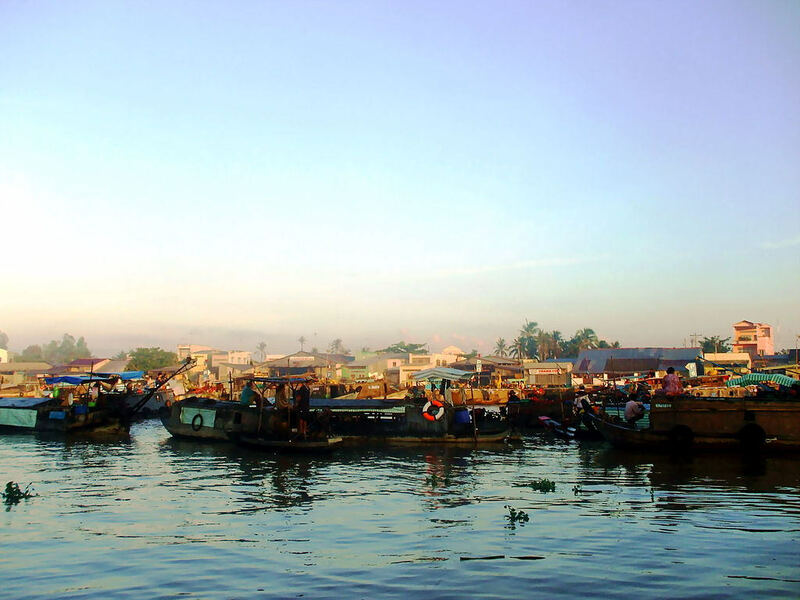 Nowadays, on arriving in the Delta, you can see many motorized boats travelling to and fro, carrying goods, fruits, other commodities for trading and even people carry their home, dog as the most popular pet to live on their own vessels. What’s on sale in the market? The products on floating markets are incredibly abundant and diversified. 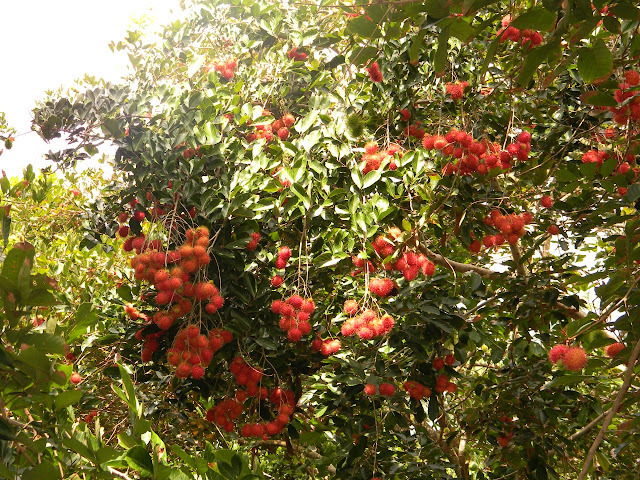 The most special product is local fresh fruits and vegetables. 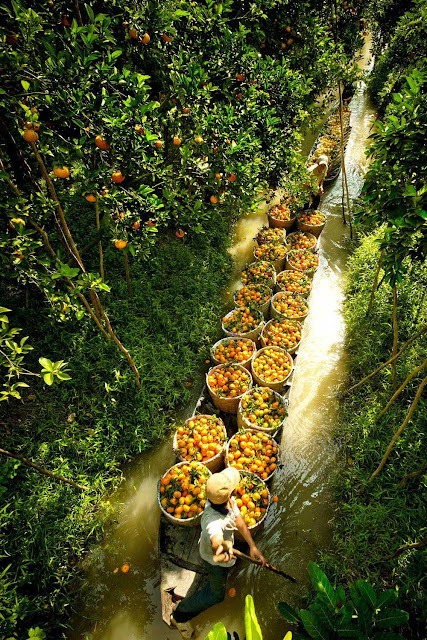 Farmers bring their goods, fruits and vegetables normally grown from the nearby gardens or from the orchards to the markets and sell them to local dealers. 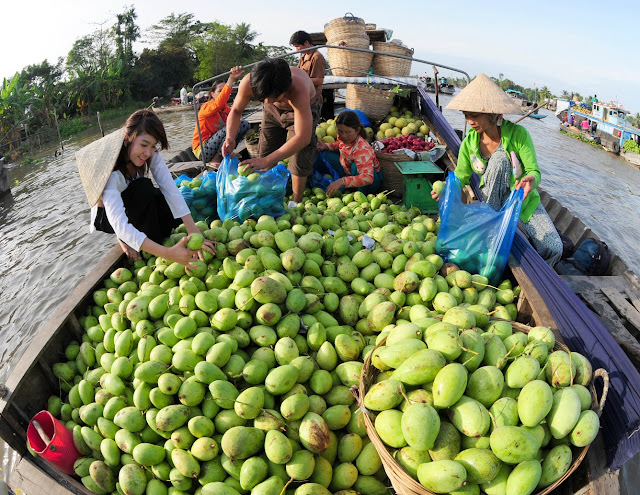 These tropical fruits and vegetables are harvested on the previous day and brought to floating market on the next early morning, so they are completely fresh and delicious. Ideally, at the floating market, local products are placed in large motorized boat, including but not limited to the assorted tropical fruits and vegetables like rambutan, mango, pineapple, dragon fruit, mango, star fruits, fresh coconut and durian. 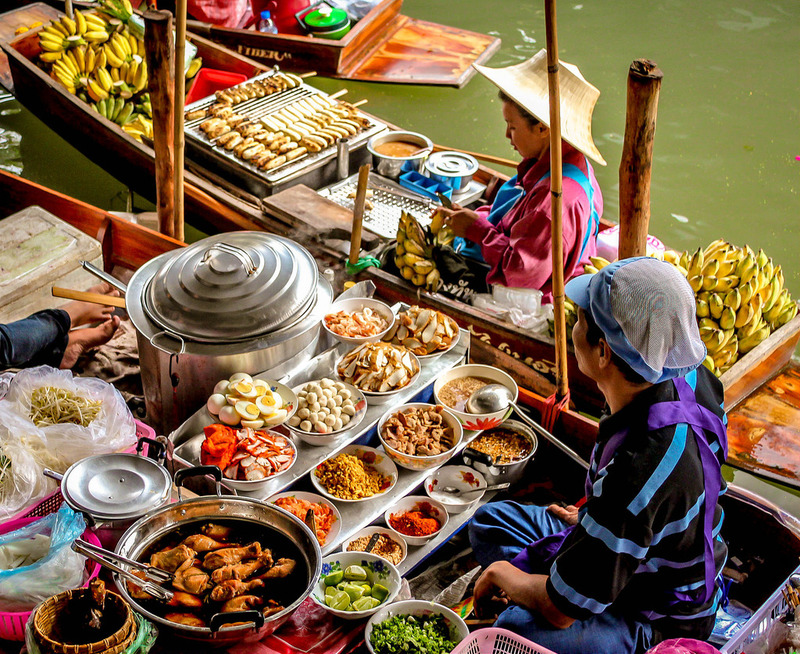 On the floating markets, you do not only find people buying and selling fruits, you also find floating restaurants, floating bars, floating gas stations, and many other floating shops. Eating right on a boat, must be the most intriguing experience ever. 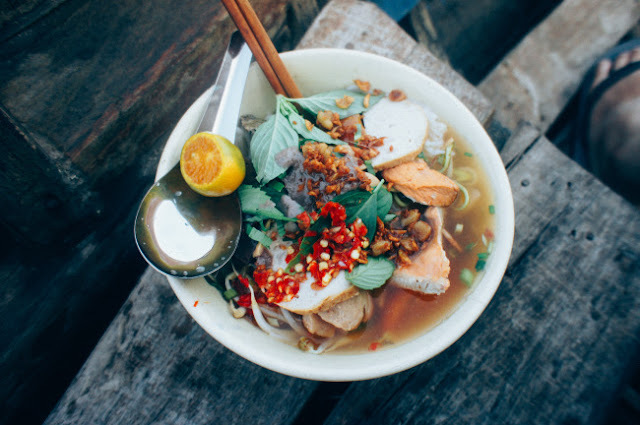 Gordon Ramsay, the Chef and Creator of Master Chef US already spent time traveling on boat in Vietnam’s Mekong Delta to find out our special cuisine. He had a chance to try Hu tieu noodles prepared by Aunt Hai, a modest ordinary Vietnamese lady. So inspired by the dish, Chef Ramsay learned himself and decided to choosed Hu tieu as a challenge for the Master Chef contestants. 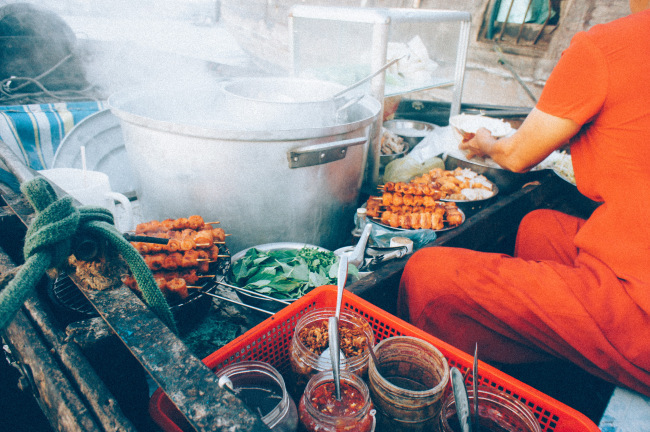 You may see many other home cooks living on selling noodles like Aunt Hai in Mekong delta. 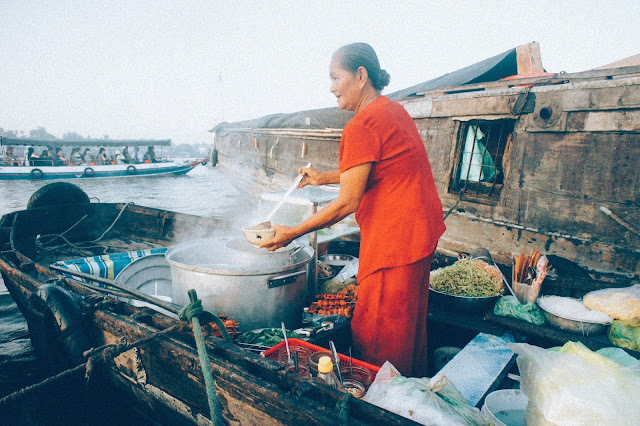 One of the best-selling noodles soup lady, who wakes up at 3:00 am have green beans, meat, rice noodles, Vietnamese spices, kitchen and a large pan of broth all loaded in her small boat. 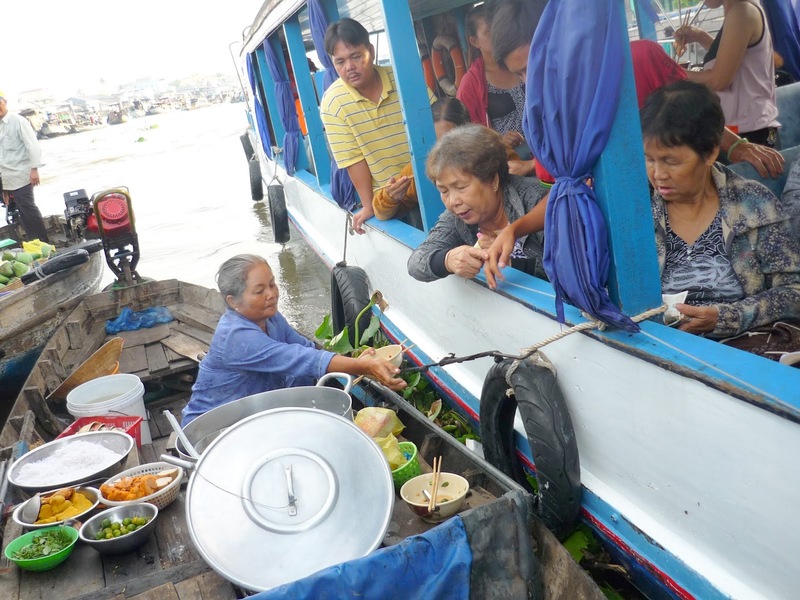 For decades, such ladies have been selling thousands of noodles soups, beef noodle, bun rieu and other traditional cakes for people living on Mekong river. 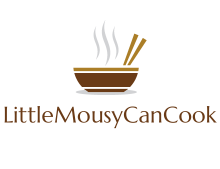 Their soups are not only well-prepared with charming broth, genuine and fresh herbs but a souce of fun, peacefulness and life enjoyment after hard day of working. 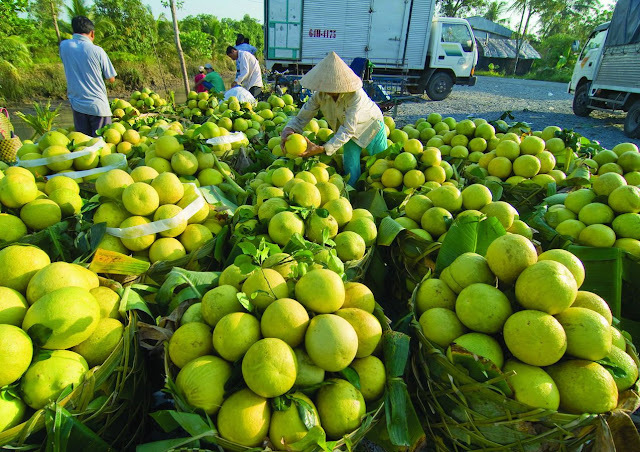 You may feel yourself the taste of harmony between a little bit tiredness, flavor of the countryside, and the love of Mekong river all the year enclosing and nurturing Vietnamese souls. What to see and do here? 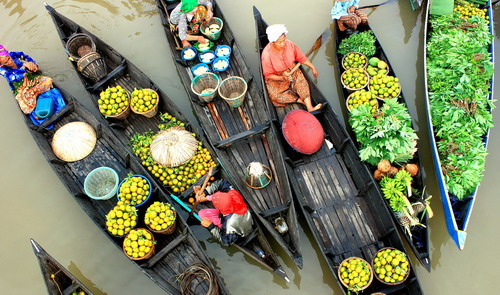 A floating market usually starts at 4 or 5 in the morning before dawn and ends when the sun rises high at 9 or 10am. 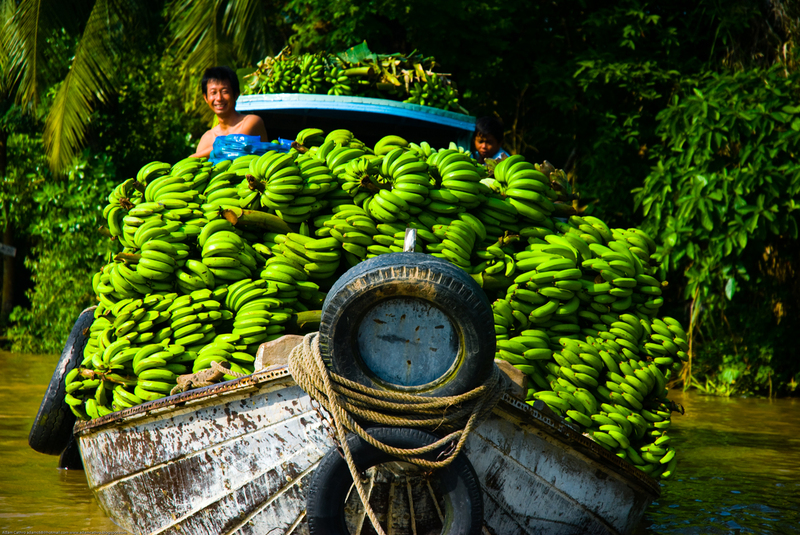 To visit the floating market, you should stay in the Mekong Delta area, wake up early and take one of the boats first hour in the morning. If you do a one day excursion, the market will be already closed by the time you get here. 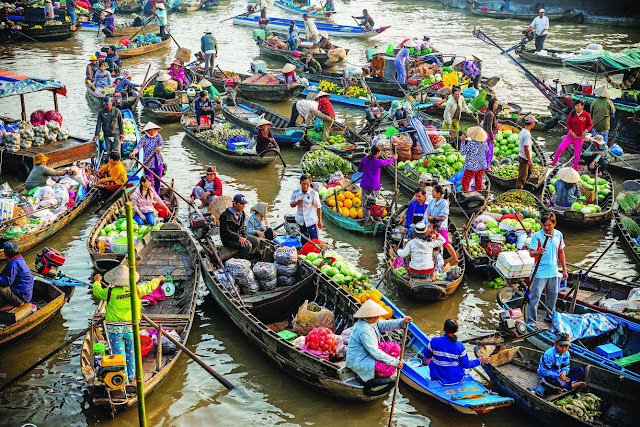 Trading begins as early as 4.00 am, and by sunrise, the waterways are clogged with the sampans of marketeers and customers. Because the trading is on the river, so it must be different from other land markets. The “stall” boat on the market has no title or brand or shop sign. The seller will hang a sample of product that they sell on the head of their boat for the buyer to recognize. For example, if they sell bananas, they will hang a bunch of banana on a pole and put it on the head of their boat. The Southern people are also very friendly, hospitable. They always keep their smiles on their faces and never cheat on customers about price. After the market you’ll be ferried off to your breakfast break at a local orchard. You’ll be led around a fairly large garden growing a big variety of local fruits, which you’ll get to sample after your walk. 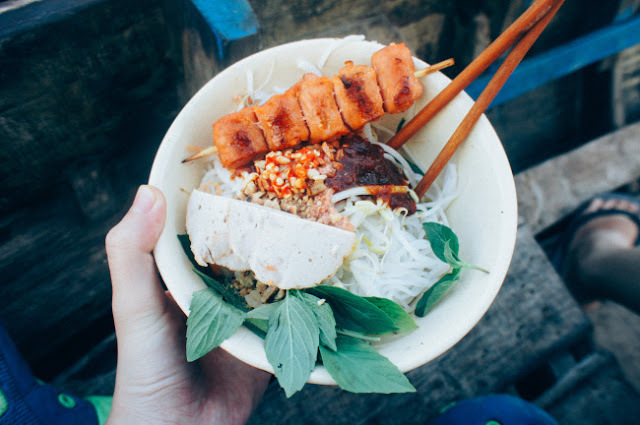 Besides, you can also find garden tools, crafts, sourvenirs and Vietnamese breakfast like rice noodle “Bun” or “Hu Tieu”. It is easily to search for boat selling breakfast just by looking for the smoke and delicious smell. How many floating markets in Mekong delta? 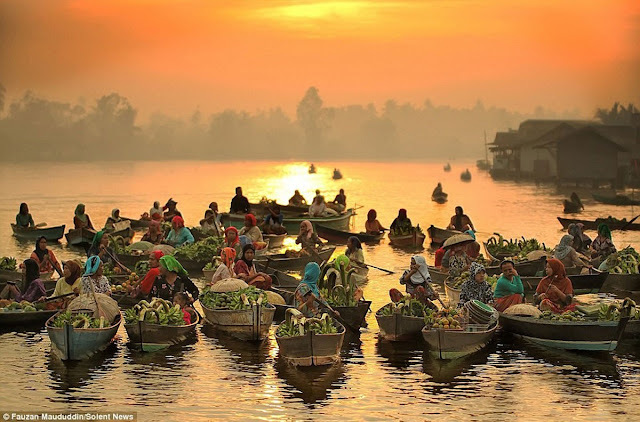 Well-known floating markets in Vietnam includes Cai Be (Tien Giang province), Cai Rang, Phong Dien (Can Tho city), Phung Hiep (Hau Giang province), Tra On (Vinh Long province), Long Xuyen (An Giang province). 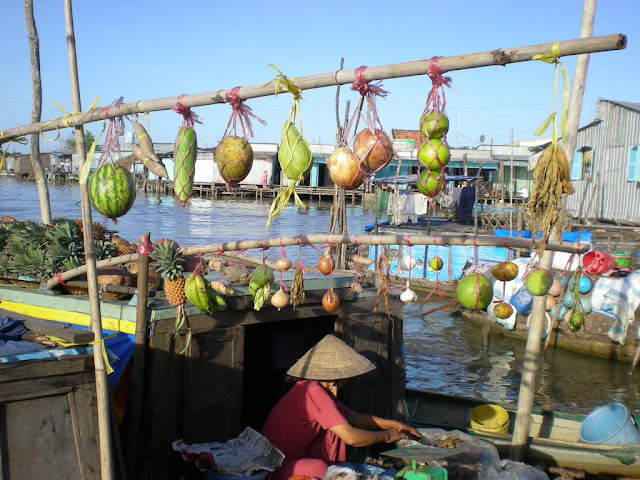 One of the most noticeable feature of floating market is “Cây Bẹo”, which is a small pillar put in front of every boat. What can be bought from the boat will be hung on the small pillar as a notice sign. This way of advertising on-situ is a cultural uniqueness of floating market, without making any sound nor trying to keep customers but in fact, it is very effective in attracting such gods who have no way but looking at the special pillar for the needed items. Boat is the main vehicles in the marketplace for not only the merchants but also the customers going to the market by sampan. In the middle of hundreds of sampans and motorized boats, hardly can we see any collision. Here people lead a simple rustic life, co-working in the same river and treating one another with sincerity from the bottom of one’s heart. That’s why people tolerate each other to lead a friendly and peaceful life together. 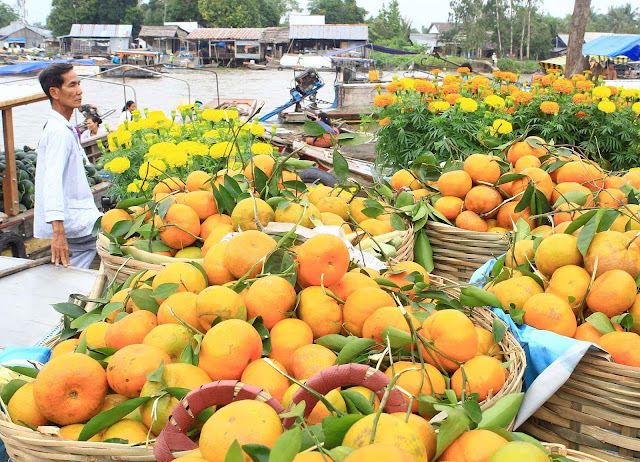 Floating market is one of cultural specialties of Mekong river delta which must be well preserved and promote in the future, especially under extremely adverse weather conditions today.